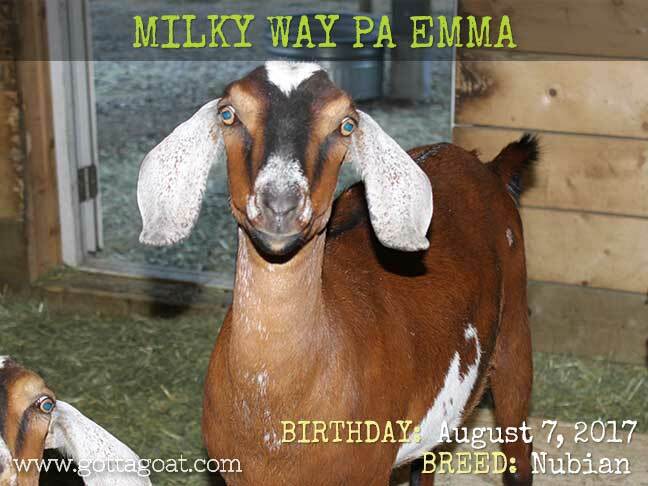 Milky Way PA Emma is a registered Nubian goat doe, who joined our farm in 2018. Emma was the first of the two to warm up to us. They were a little timid when they first got here, but after they realized we are the “food providers”, it didn’t take long for them to become very socialized and friendly. Emma is just the sweetest goat too, with beautiful colours, and gorgeous long ears! Emma is a registered Nubian doe. Please contact us if you would like more information about Emma’s pedigree.